Crafty Garden Mom: CGM Podcast Episode # 7: Back in the Saddle + Book Giveaway!!! I was very happy to find a crafter who is also an avid reader. I love books. 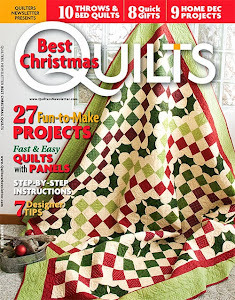 I'm not a quilter but am interested in hearing about many types of crafting. The fat quarters would make wonderful project bags. I am a knitter and crocheter. I have heard positive things about the book and would love the opportunity to read it. I enjoyed the podcast. Just this past week my group of children at work put fabric, ribbon and thread out for the birds as a project. The kids keep checking outside to see if the birds are building with the fibers. I will be interested in the responses that you get in washing pre-cuts. I have wondered about this as well. I loved this episode. My kids and I actually paused the podcast to run outside and put threads and scraps out on the ground and tree in front of our house. They loved it. I have heard not to wash the precuts (and read it in several books too). I gather that they will not bleed when washed. I really like how you explained what fussy cutting was! LOL. I had no idea and it sounded very straightforward from the way that you explained it. I thought it was much more...fussy than that. I would not wash precuts. The edges are pinked to prevent fraying, but washing those pieces before they are assembled will just exacerbate potential fraying despite the pinked edges. The (nerdy) mathematical way to look at it is that losing 2-3 threads-worth of fabric on each edge of a 10" square is a much larger portion of the total piece of fabric than losing 2-3 threads-worth on a 1 yard cut. Since manufacturers like Moda use (supposedly) identical printing processes on the same type of greige goods, shrinking should be uniform across all pieces. If you're worried about color dyes bleeding, then I would just use a product like the Shout Color Catcher in the wash when you wash the completed project. Sorry for the nerdy math analysis - I can't help myself! Thank you for your podcast! I love your quilts and hearing the process! I've never done a landscape or art quilt so you inspire me! Love the book reviews and would love to win the book give away! I have yet to listen to an episode (so many great podcasts out there! ), but am looking forward to it. You might want to put the quilt together and then wash with a color catcher. Hope you are doing well. Tanesha, I would love to enter my name for the book drawing, you made it sound like a very interesting read! Speaking of reading books, you mentioned the books that Frances writes. I know they are written for kids, but after listening to her podcasts, I had to check out her books. I have one on disc and one book, each borrowed from the library. I really love listening to what you have going on in life, and am happy for you and your growing family. Thanks for keeping me entertained while I am driving, walking and sewing. I love the podcast! So fun & infomative! The book sounds like a read I would enjoy. More details on small appliqué would be great! Hi Tanesha. Nothing like a give-a-way to get followers to finally speak up, huh? I've been listening and enjoying your podcasts. I love to hear about your art quilts because I am not an art quilter. I also love the book reviews. I also want to thank you for passing on the info about The History Chicks podcast. I love it too! Your girls seem so precious. It's fun to hear about them as well. Thanks so much for your podcasts. I don't know how you manage to fit everything in, but I'm glad you do! Clara and Mr Tiffany sounds like a great book. I love historical fictions. I would love the chance at fabric and a book...what else do we need? I have been listening to your podcasts and came over to check out pics. Keep up the good job. Tanesha, I have to tell you that I enjoy listening to your podcast so much. You're quilts are beautiful. 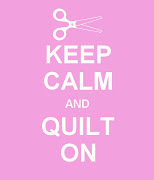 I am not much of applique quilter, but have been thinking that I would like to give it a second chance. The book reviews are great and I think that I started listening to the History Chicks because of you. They are wonderful! You also asked if you should pre-wash pre-cuts. I would not. I actually don't pre-wash most of my fabrics and only because I'm usually too anxious to get started. PS: I forgot about the Lasagna gardening. I love that idea. We want to start a garden and this sounds like a fantastic way to so it. I love your podcasts. Especially enjoyed the one telling about making the birch trees on the landscape quilt. Enjoy your book reviews too. Thank you so much and keep up the good work. Hi Tanesha! Really enjoyed the podcast. I especially liked your description of how to make landscapes more realistic by really seeing the colors of the object; that they aren't just solid brown, or green, etc. Works the same in watercolor painting. Not that I've ever successfully completed one!